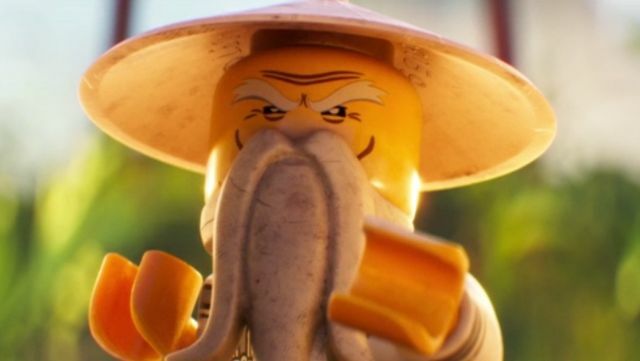 Once you’ve settled in for Warner Bros.’ Storks when in theaters on September 23, you’ll be treated to The Master: A LEGO Ninjago Short, a special short introducing you to Master Wu, Jackie Chan’s character in the upcoming The LEGO Ninjago Movie. In the meantime, a short clip from the feature (via USA Today) can be seen below, offering a taste of what to expect from next year’s animated adventure. Check it out below! Inspired by the wildly popular LEGO line of toys, Ninjago is the story of six young ninja tasked with defending their island home, called Ninjago. By night, they’re gifted warriors, using their skills and awesome fleet of vehicles to fight villains and monsters. By day, they’re ordinary teens struggling against their greatest enemy: high school. The LEGO Batman Movie, featuring Will Arnett in the title role, will be the next LEGO movie to hit theaters on February 10, 2017. The LEGO Movie Sequel, directed by Rob Schrab (Community), will be released on February 8, 2019. The Billion Brick Race, set to be written by Jason Segel (The Muppets, Forgetting Sarah Marshall) and Drew Pearce (Iron Man 3), was originally set for a May 24, 2019 though it remains to be seen if it will hold onto that date.